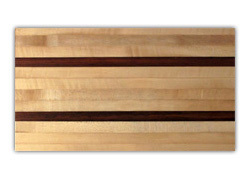 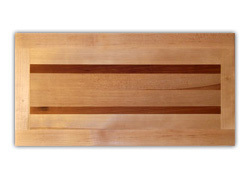 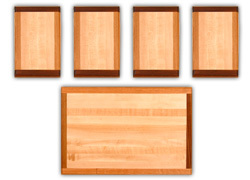 All of our cutting and serving boards are made from Cape Breton Maple and accented with Cherrywood, Oak or Walnut. 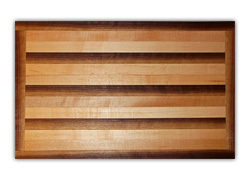 Each board is hand-finished with two coats of FDA-approved mineral oil and one coat of beeswax for a sleek, "salad bowl" finish that is food safe and non-allergenic. 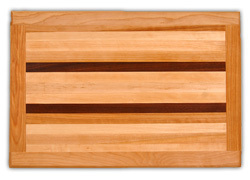 A cutting board is a timeless gift, one that will last for years. 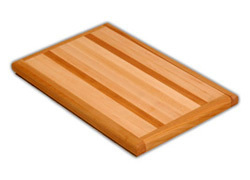 Our boards are in kitchens, home and fine eating establishments all over Canada, and the U.S. For Christmas giving, weddings, special occasions, and just to show you really care. 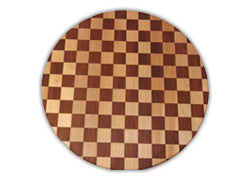 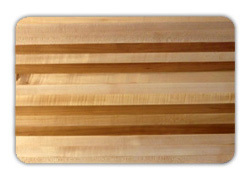 Make sure you order early, to ensure your cutting board will arrive on time. 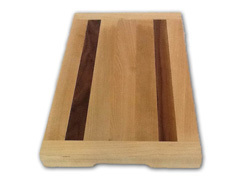 If you have a special order, we will be only too happy to help. 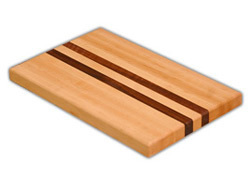 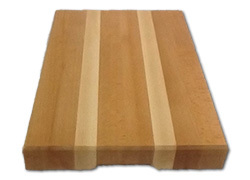 Canadian Cutting Boards are sold on the basis of satisfaction guaranteed. 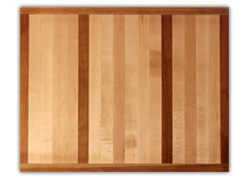 If you have problems with the board due to defects in workmanship, please let us know. 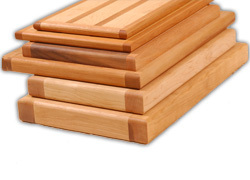 18" x 11" x 1&frac18;"
18" x 13" x 1&frac18;"
16" x 11" x 1"
17" x 15" x 1¼"
20" x 14" x 1½"
23" x 15" x 2"
18" x 12" x 1½"
19½" x 15¼" x 2&frac18;"
10.5" x 15" / (4x) 6" x 9"
Need something specific? 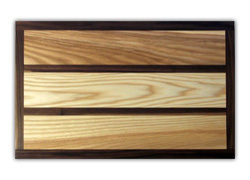 We take Special Orders. 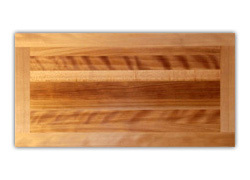 Whenever possible, orders are shipped within one week. 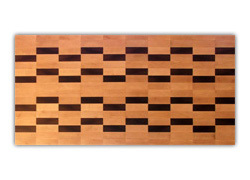 Shipping costs are subject to change based on shipping method and destination.